Today I'm participating in a meme hosted by Breaking the Spine. Here's a look at an upcoming release that I'm excited to read. I mentioned earlier this week that I spent my Valentine's Day reading Jenny Han's To All the Boys I've Loved Before. I love when a book pulls you in so much that you can't put it down, and this is exactly what happened to me. Lara Jean is such a sweet, imperfect, and fun teenager, and I think she embodies this transitionary and often difficult period of life so well. She's awkward at times and unsure of herself and her feelings, but she feels so deeply and wants to find her place in her family, her peers, and the world around her. I particularly loved how Han captured the relationship between the three Song sisters. As one of three sisters myself (and a little brother at the tail end), I could relate to their relationships so much, with all of their complex and complicated nuances and beautiful moments. Being a sister feels impossibly difficult and utterly amazing, often all at the same time, and Han really understands this. Lara Jean's younger sister Kitty was one of my favorite characters, and I can't wait to see what she's up to in the sequel. And of course Peter and all the other boys who Lara Jean loves. Their stories aren't finished, and I'm anxious to find out what happens next! I have some strong opinions since I love Lara Jean and Peter so much and really want to see them come together, but I guess I'll just have to see where Han takes their story. Is anyone else excited about P.S. I Still Love You? What books are you most looking forward to? I still need to read the first book, but I'm definitely looking forward to reading this one afterward. Thanks for sharing! It's great! I got totally engrossed in the story - it's so sweet, and Han is a great writer. I hope you enjoy! 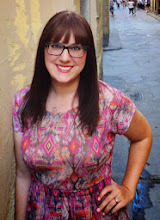 She is such a great writer, and I'm glad to hear her other books are just as awesome. I want to pick some up to hold me over until P.S. 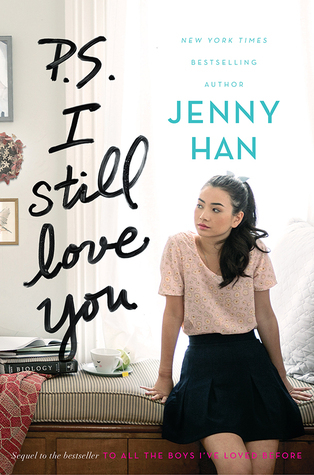 I Still Love You comes out in May. And I totally agree on the romance front - I love a good romance, but it's so much nicer when stories feel like more than that. This one definitely has a prominent romantic storyline, but the fact that Lara Jean is a fully rounded person with other relationships made her a great protagonist, and I loved following her story. This is one of my favorite things, finally reading a book and finding out that the sequel is not far off! There are oh too many series I am in the thick of and just playing the waiting game for the next one. May is not too far off, enough time for anticipation to build but not so long as to become arduous. It's so good! I highly recommend it.